Quiet heat or fan-only settings for year round continuous use. 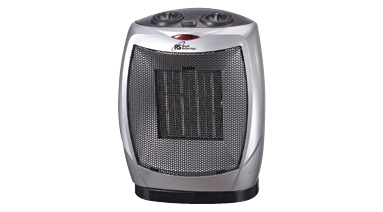 Features 750W/1500W heat settings, oscillation, cool/warm/hot mode selections. Safety tip over switch and an automatic temperature control.